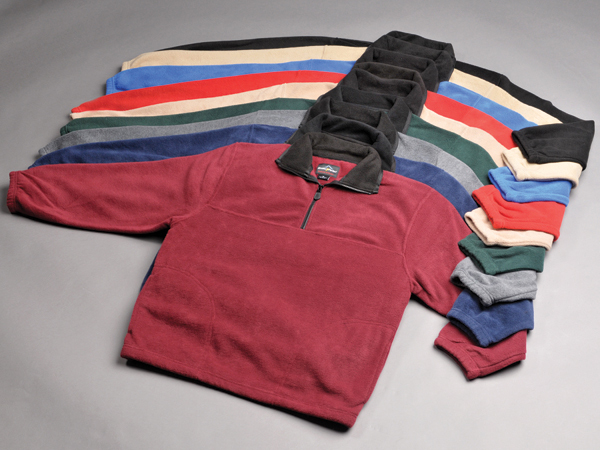 Fleece jackets at wholesale pricing are our specialty. Full zip jacket and quarter zip "Unisex" First Quality 100% non-piling 260 weight Polyester Polar Fleece jackets perfect for promotional corporate gifts manufactured by PeachFur Fleece/HighMark Outdoor. 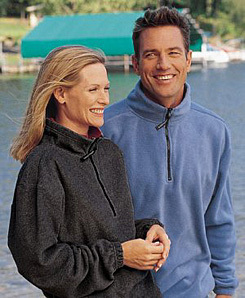 Special Full-zip fleece jacket discount with pockets corporate special $25.00 plus, embroidery. Quarter zip fleece jacket $23.00 plus embroidery. PRODUCTS BELOW ARE BULK BOXES CONTAINING 12 JACKETS. First quality 100% cotton perfect for promotional purposes. We can add your company or special event logo to our hooded sweatshirts. Minimum order 12 all same color any size mix. Fleece jackets wholesale, promotional full zip jacket, and quarter zip fleece jackets for your company or special event. Fabric Content: 100% non-piling Poly Polar Fleece. 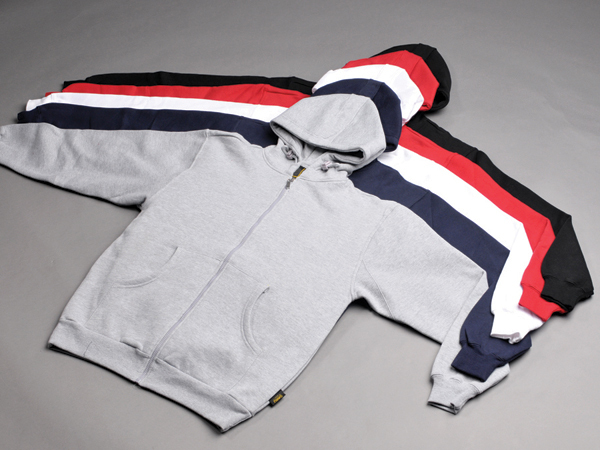 Size Range/Scale: Our wholesale fleece jackets are available in unisex sizing SM-XXL: call to order by size. First quality 100% poly fleece perfect for promotional purposes. 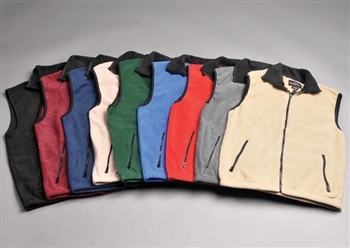 We can add your company or special event logo to our fleece vests. Minimum order 12 all same color any size mix. For more information, question on embroidery or to request samples, call us Toll-Free 800-516-0045. 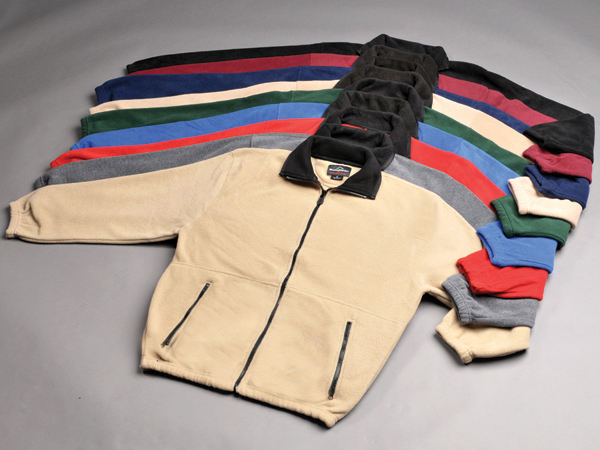 HighMark Outdoor and PeachFur's wholesale fleece jackets are made using the highest quality fleece available.